This is a 5 1/2 to 6" bird. 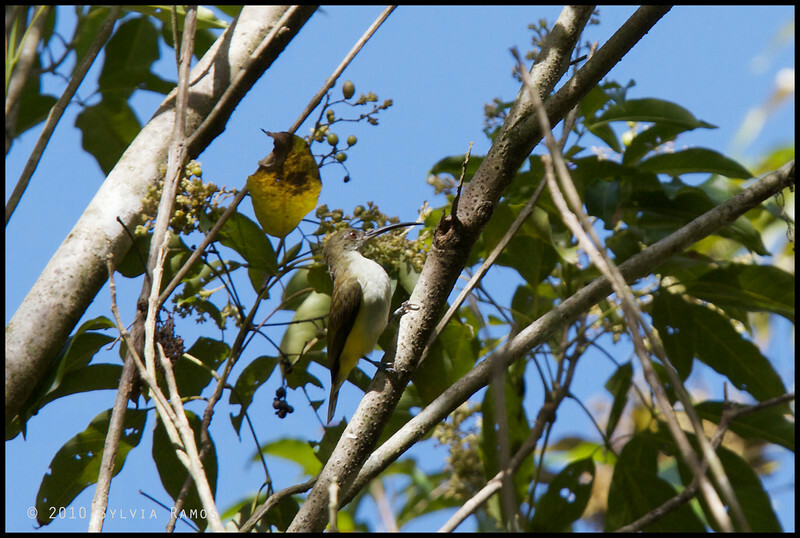 It looks like a big Olive backed Sunbird with an extra long beak. We saw it for the first time whenwe were in Davao for the 1st Asian Bird Fair hosted by the WBCP. We saw it again in Zamboanga in March 2012. We saw an adult and an immature. This bird was formerly known as Little Spiderhunter Arachnothera longirostra. It has since been split into two species: Orange Tufted Spiderhunter Arachnothera flammifera and Pale Spiderhunter Arachnothera dilutior that is only found in Palawan.